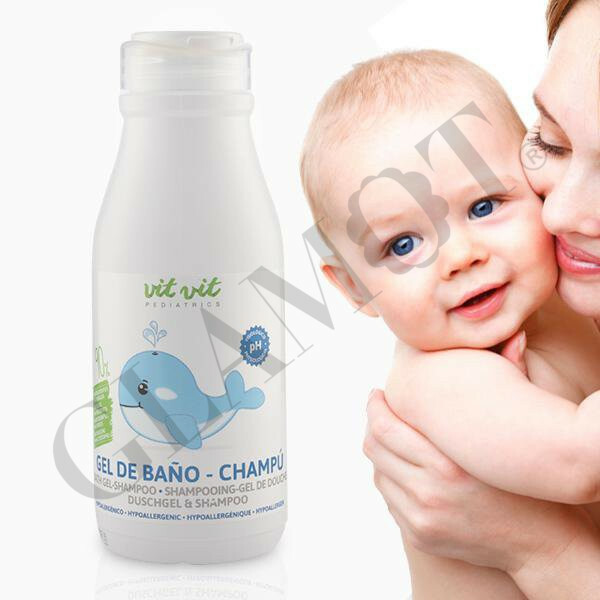 For children and babies’ sensitive skin. 90% natural ingredients. Hypoallergenic. With Aloe Vera, Oatmeal and Calendula. NO sulphates, nanoparticles, artificial colours, parabens, phthalates, allergens, GMO or MIT. Apply to wet hair and body and rinse. Can be used in the bath and shower.